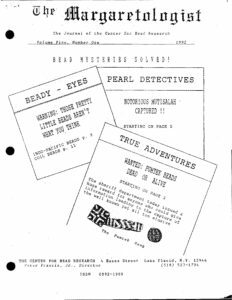 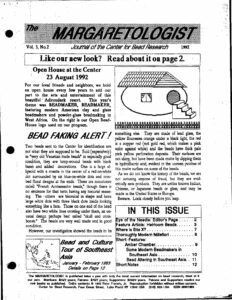 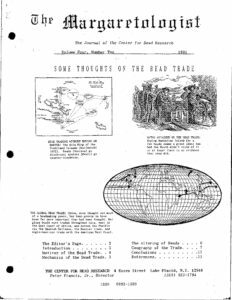 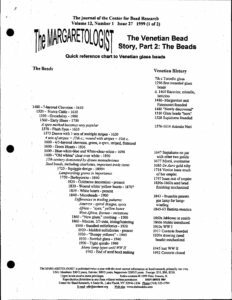 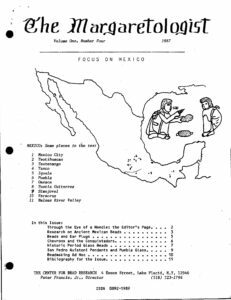 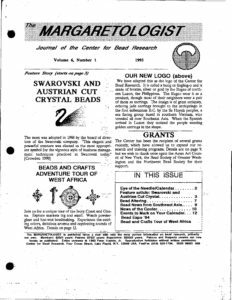 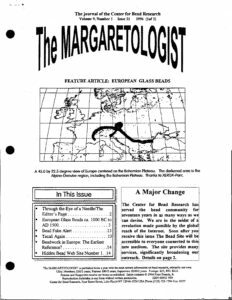 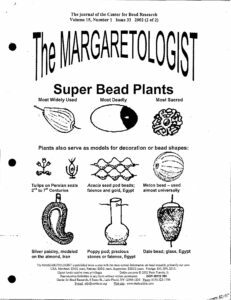 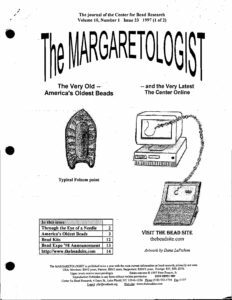 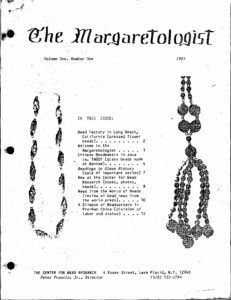 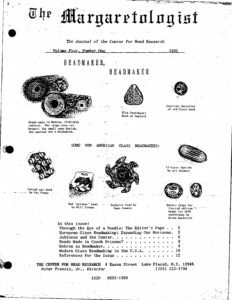 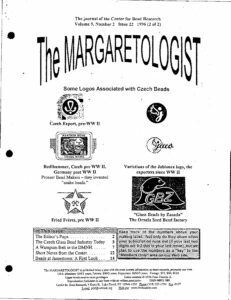 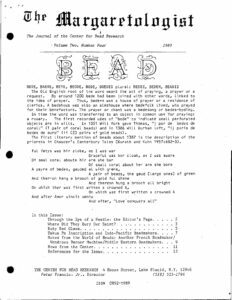 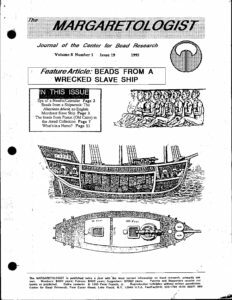 The Margaretologist was the loose-leaf journal of the Center for Bead Research. 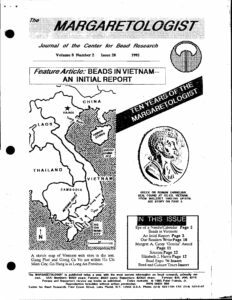 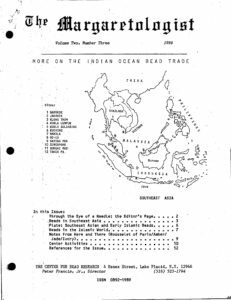 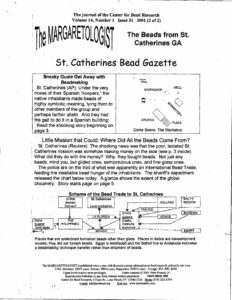 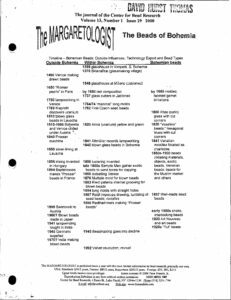 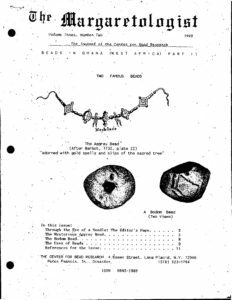 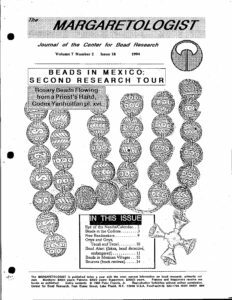 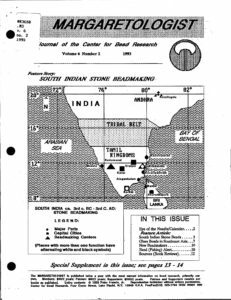 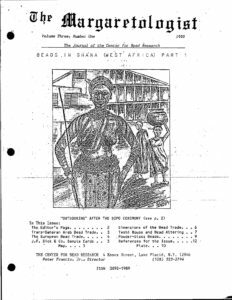 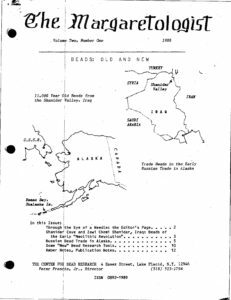 It was published about twice a year between 1985 and 2002 to report on the latest work in bead research. 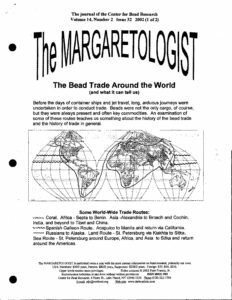 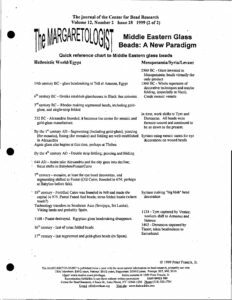 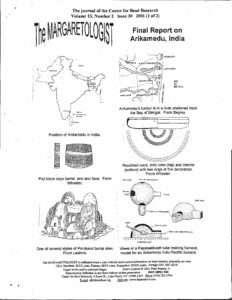 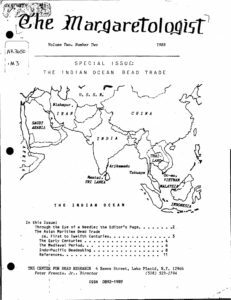 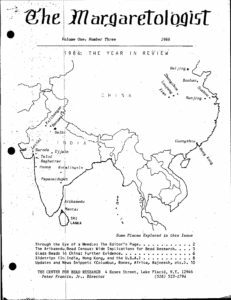 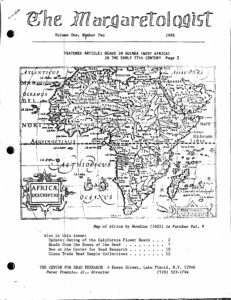 Beads of all types from all over the world were covered in informative articles and research notes. 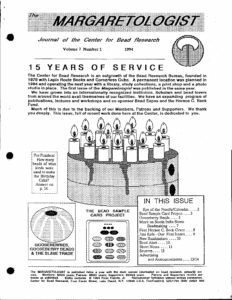 Regarding the issue numbers which began appearing on the cover of 1994 7(2), “Issue 18” should instead have been “Issue 16”. 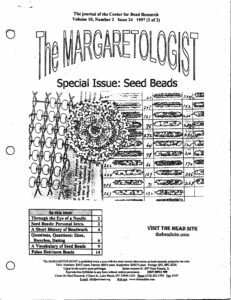 There are no missing issues prior to this. 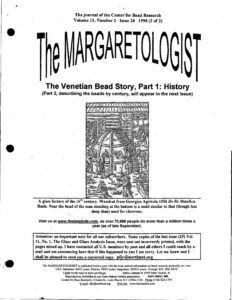 European Glass Beadmaking: Expanding Our Horizons • Jablonex and the Center • Beads Made in Czech Prisons? 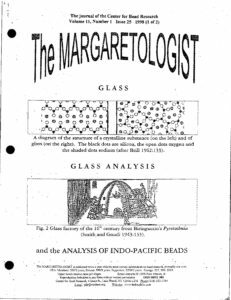 • Hebron as Beadmaker • Modern Glass Beadmaking in the U.S.A.